Śrīla Prabhupāda ordered that after his departure not a word of his books should be changed. There is no reliable evidence that such an order was ever given. The Folio VedaBase gives no record of it. None of his editors (who’d be the natural ones to receive such an order) recall having heard it, nor any of his secretaries. No one has ever said when, where, or to whom the supposed order was given. Though the story often appears on the internet, no evidence has ever been produced for it. In short, the story appears inauthentic. History shows that the critic is wrong. The fourteenth chapter of the Bhakti-ratnakara contains four letters written by Sri Jiva Gosvami to Srinivasa Acarya. In the first letter, Jiva writes that he is still proofreading/correcting the Bhakti-rasamrta-sindhu of Srila Rupa Gosvami, who by then had passed away. So, returning to the critic's point: Commentaries, of course, form an essential part of the Gaudiya tradition, and commentaries are always distinct from the original works. But editing too (even posthumous editing) has a distinguished place in the tradition. Just before the first edition of Bhagavad-gita As It Is was published, Srila Prabhupada and Hayagriva Prabhu spent many days in Los Angeles in late 1968 carefully going over together the final text for the book. It's a persistent image: Srila Prabhupada in Los Angeles in December of 1968, working side by side with Hayagriva Prabhu, carefully putting the finishing touches on Bhagavad-gita As It Is. But a careful look at the history shows that this is out of the question. Why? Because even though Hayagriva worked on the Gita manuscript until October of 1967, by November of ’67 he was off the job and Srila Prabhupada handed over the task of finishing the Gita to another editor, Rayarama Dasa (Raymond Marais). When Hayagriva came to Los Angeles in December of 1968, that first Gita—the abridged Macmillan edition—had already been published. And work on the next edition—the unabridged—didn't begin until 1970. What Hayagriva was editing in December of 1968 was Srimad-Bhagavatam. And so the image of Srila Prabhupada sitting with Hayagriva in December of 1968 carefully going over every verse of Bhagavad-gita As It Is, seeing to the finishing touches, is a persistent image of something that never took place. That's the truth. Here's the timeline. See for yourself. Before October 1967: Hayagriva is working on the manuscript of Bhagavad-gita As It Is. October–November 1967: Letters unfold the story of Kirtanananda's rebellion against Srila Prabhupada's teachings and instructions. 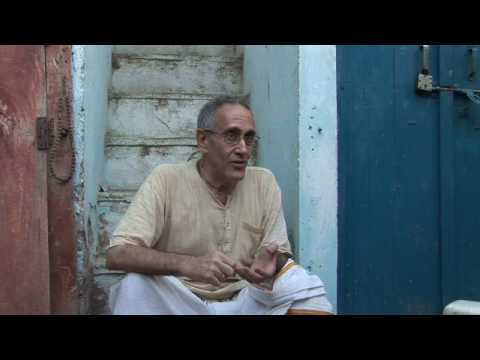 Kirtanananda leaves the association of ISKCON, and by his influence so too does his friend Hayagriva. As of October 19, the manuscript for Bhagavad-gita As It Is still lies with Hayagriva (letter to Hayagriva, October 19, 1967). November 2, 1967: Srila Prabhupada writes to Himavati Dasi: "The present feature of Kirtanananda and Hayagriva are temporary manifestation of maya. They will be corrected as soon as I return." November 1967: Sometime during the month, Hayagriva returns the Gita manuscript to Brahmananda and Rayarama. A letter from Srila Prabhupada to Rayarama on November 2 and one to Brahmananda on November 5 confirm this. A letter to Rayarama on November 9 reflects some confusion over whether the manuscript has been returned or not, but a letter to him on November 15 is conclusive. 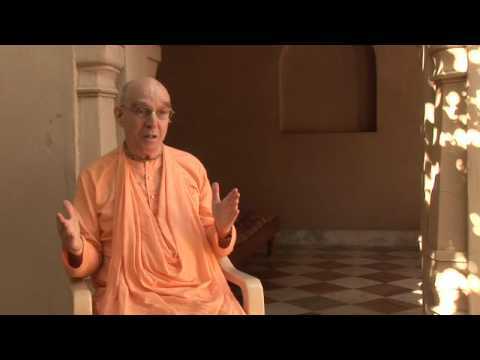 Krishna, Srila Prabhupada tells Rayarama, has transferred "the whole thing into your hands." November 18, 1967: Srila Prabhupada writes to Brahmananda, "Kirtanananda and Hayagriva's recent standing is being directly dealt by me; at least Hayagriva is not as fanatic as Kirtanananda. 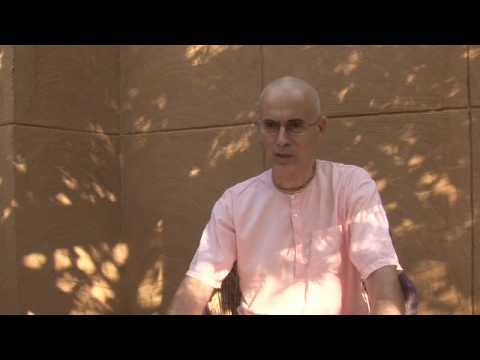 His latest letter reveals that he is not out of Krishna Consciousness as we understand. . . . I understand that Hayagriva and Kirtanananda are continuing to chant Hare Krishna is their center. I hope therefore they will not go astray and the misunderstanding may be cleared up in due course of time. . . ."
The letter mentions that Rayarama "is now engaged in finishing Gita Upanisad." Srila Prabhupada writes, "Now it must be finished within three weeks and hand it over to MacMillan Co. "
December 14, 1967: Srila Prabhupada writes Rayarama, "I have already sent you the purports of each and every sloka that you sent me for correction. . . . As soon as you finish the Gitopanisad business and the matter is handed over to the MacMillan Co. we begin on the Bhagavatam work without delay." December 29, 1967: Srila Prabhupada writes to Brahmananda, "Regarding Hayagriva and Kirtanananda, if they come again we should accommodate them and should not continue the misunderstanding that has been engineered. I think Hayagriva is anxious in having his name printed in the publication of Gitopanisad. I do not have any objections that his name may be mentioned as one of the editors helping in the editing of Gitopanisad, just to encourage him and keep him in our camp, in case that he may come back and accept our philosophy and resume his editing talent. He has committed a blunder, but just so that he may be encouraged to come back you may mention his name also along with Rayarama's. He is not so convinced of his impersonalist philosophy. It is only due to Kirtanananda's influence that he has left us." December 30, 1967: Srila Prabhupada writes to Satsvarupa, "You will be glad to know that yesterday I have signed the agreement with MacMillan for publishing Gitopanisad. . ."
January 8, 1968: The contract has been concluded between Srila Prabhupada and the Macmillan Company for publishing the abridged Bhagavad-gita As It Is. The contract stipulates that the author should deliver to the publisher the manuscript, ready for the printer, "on or before the first day of January 1968, time being of the essence." The contract is formally dated January 8, 1968. January 15, 1968: Hayagriva last saw the edited Gita manuscript in October or November of 1967, and the editing was later completed by Rayarama. Now, it seems, Hayagriva has expressed concern about the quality of Rayarama's work, because Srila Prabhupada writes to Hayagriva, "Regarding the manuscript: It is very difficult for me to see it again, but I inquired from Brahmananda whether the manuscript is already delivered to MacMillan Company or not. If it is not delivered then I shall try to see it again. Your fear that the entire society will be in danger by Raymond's editing of the Gita is not very suitable remark. Rayarama may not be as qualified as you are, but his one qualification that he is fully surrendered to Krishna and his Spiritual Master is the first class recommendation for his editing any one of our literatures, because editing of Vedic literatures does not depend on academic education. It is clearly stated in the Upanisads that one who has implicit faith in God as well as in the Spiritual Master, to him only the import of Vedic literature is revealed. 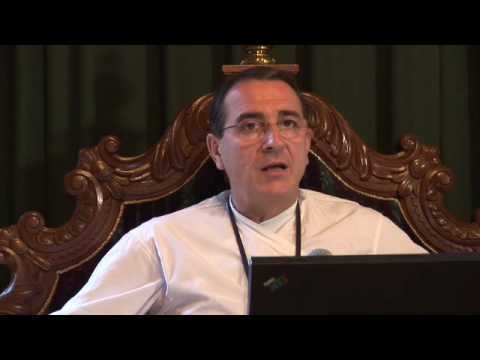 I think Rayarama is doing work in that spirit and his recent publication of several booklets and Back to Godhead and a calendar are all first class proof of his sincerity of service." January 18, 1968: The final manuscript for the Gita has apparently not yet been submitted to Macmillan. From Los Angeles Srila Prabhupada writes to Rayarama, "Bhagavad-gita is nearing completion-I heard this before I started from India. The editing has been too much delayed. Now I request you to come here for a week with the full manuscript so that I can see it personally, along with you, and finish the editorial work, within a week. Even after signing the contract, if the manuscript is not submitted, it is regrettable. If it is not inconvenient for you, somehow or other, it will be better if you come here for one week absolutely for this purpose so that we can finish this job without further delay. . . . I wish that you may come here for a week, suspending all other business and finish this Bhagavad-gita in my presence." February 25, 1968: Srila Prabhupada writes to Satsvarupa, "You will be glad to know that our arrangements with MacMillan for publishing Bhagavad-gita As It Is is already completed, and the manuscript is handed over to them." March 18, 1968: Srila Prabhupada writes to Satsvarupa, "Today I have received one letter from Hayagriva and it is understood that he is feeling our separation. I have replied him and have asked him to see me when I am in N.Y."
Late April 1968: Hayagriva visits Srila Prabhupada in New York City. Srila Prabhupada later writes to Mukunda (on May 6), "Please inform [Umapati] that his intimate friend, Hayagriva, came to see me in New York and we talked very frankly, and he is still my good disciple, and I have asked him to stay with me wherever I may be, and he has agreed. I understand also from him that Kirtanananda Swami is also eager to see me, and we shall be very glad if they come back and work with us conjointly. I am praying for this to Krishna." April 28, 1968: Jayadvaita Swami (then Dasa Brahmachari) is initiated in New York City. 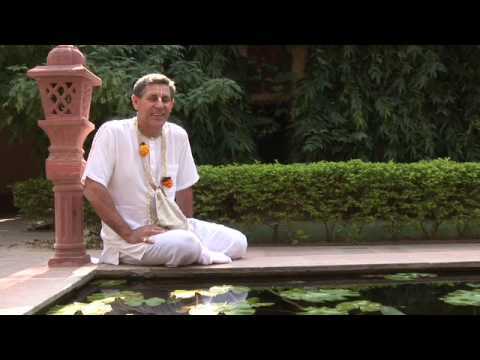 He serves as a typist in Rayarama's office and so from then on is familiar with what work is going on in the editing and publishing of Srila Prabhupada's books. July 14, 1968: Srila Prabhupada writes to Hayagriva, "Regarding Easy Journey to Other Planets: You can inquire from Mukunda das if he is going to print it or not. If not, then you can do it because you have now some money and spend for its publication. And regarding editorial work, I shall send you some manuscripts very soon." July 29, 1968: Srila Prabhupada writes to Brahmananda, "Let us forget about our past incidents with Hayagriva and Kirtanananda. Treat Kirtanananda as bona fide and address him as Kirtanananda Maharaja. He should be first offered obeisances and he will return the respect to his Godbrothers. . . . Please be brotherly with Hayagriva and Kirtanananda. They have come back with sincerity." August 23, 1968: Srila Prabhupada writes to Hayagriva, "Regarding editing of Bhagavatam: Certainly it will be entrusted to you, because Rayarama is engaged in the Back to Godhead. Hardly he will get some time." September 9, 1968: Srila Prabhupada writes to Hayagriva, "Now immediate task is that you revise the 1st, 2nd, 3rd volumes of Srimad Bhagavatam. As soon as they are revised, we shall immediately print in one volume." October 7, 1968: Srila Prabhupada writes to Hayagriva, "So far Srimad-Bhagavatam is concerned, now Pradyumna and yourself immediately revise the 3 volumes already published. My next attempt will be to get them in 1 volume, as I have already suggested." Fall, 1968: The abridged Gita is published. An introductory note called "Setting the Scene" is signed "Rayarama Dasa Brahmachary (Raymond Marais), Editor" and dated 16 August 1968, Janmastami. In the note, Rayarama writes, "My special thanks are due to my God-brothers Sri Hayagriva Das Brahmachary (Howard Wheeler, M.A.) for his assistance in polishing the manuscript and to Sri Brahmananda Das Brahmachary (Bruce Scharf) for arranging publication. . ."
"Regarding Srimad-Bhagavatam, please send me the chapters which you have already revised. I want to see it, how it is being done. I am glad that you are not omitting anything, but just making grammatical correction, and phrasing for force and clarity, and adding Pradyumna's transliteration, that is very nice. "Yes, henceforward, as I have already told you, that Srimad-Bhagavatam will be ultimately seen by you, before being printed. That will keep consistency, I quite agree with you." November 23, 1968: In a handwritten postscript to a letter, Srila Prabhupada writes to Hayagriva, "Please try to finish up 1st and 2nd Cantos of Bhagavatam as soon as possible." November 25, 1968: Srila Prabhupada writes from Los Angeles to Krishna Dasa, "Our Bhagavad-gita as it is, is now published, and I have got copies of it here." December 25, 1968: Srila Prabhupada conducts the marriage ceremony of Shyama Dasi and Hayagriva. Srila Prabhupada tells them, in the course of his lecture, "You have got nice business now, both of you, conjointly working for editing my Srimad-Bhagavatam." January 31, 1969: Srila Prabhupada writes to Hayagriva, "I am very pleased to learn that the entire first canto should be completely edited by March 8th. . ."
December 24, 1969: In a discussion with the staff of BTG, Srila Prabhupada directs that work begin on a new, unabridged edition of Bhagavad-gita As It Is. The revised editions have been Bowdlerized—that is, softened to make them socially more acceptable. To “Bowdlerize” a work is to expurgate it by removing or changing words or passages one consideres vulgar or objectionable. In 1818 one Dr. Thomas Bowdler published an edition of Shakespeare “in which those words and expressions are omitted which cannot with propriety be read in a family.” And from his name we get the word. The second edition of the Gita in fact restores several words and passages the original editor changed or omitted, apparently out of concern for the sensibilities of the modern reader. For 10.42 Śrīla Prabhupāda wrote, "There is a Mission that regularly propounds that worship of any demigod will lead one to the Supreme Personality of Godhead, or the supreme goal." In the first edition this was dropped, in the second restored. For 11.52 he wrote, “A foolish person may deride Him, thinking Him an ordinary person, and may offer respect not to Him but to the impersonal ‘something’ within Him, but these are all nonsensical postures.” First edition, omitted; second edition, restored. The new editions restore Śrīla Prabhupāda’s words, full force. If you’re going to revise a book, the only way to do it with integrity is to include a footnote for every change. For books meant for scholars concerned with textual criticism, yes. For books meant for the general reader, no. For the general reader, such footnotes are just a distraction. Comprehensive footnotes or addenda are meant for scholarly editions where a main purpose is to point out the differences between various versions of a text. For Bhagavad-gita As It Is that might be useful for critics and scholars, but for the general public—worse than useless. Going beyond a mere scholarly edition, the BBT has begun a project to extensively document the editorial history of each of Śrīla Prabhupāda’s books, tracking the details of the text from manuscript to the most recent printing. Rupa Vilasa Dasa, another devotee who had spoken in favor of a footnoted edition, later approvingly wrote, "Sounds like you have come up with a better solution." Are comments in footnotes a good solution? Should the changes be explained in footnotes? The BBT violates the established rules and protocols requiring that a second edition prominently display the editor's name. According to the authoritative Chicago Manual of Style, once a book has been at least twenty percent revised it becomes a second edition. Then, Chicago says, the rules require that the editor’s name appear on the cover and in the front matter of the book and that the date of editing also be mentioned. Well, amidst the false assertions here, there’s at least a grain of truth. The part about what makes for a second edition is right. Fine. Percentages aside, the title page for the second edition of Bhagavad-gita As It Is clearly says “Second Edition.” And other BBT books that have been revised--even less than twenty percent--are marked the same way. Nothing to argue about here. But we’ve looked long and hard through the latest edition of The Chicago Manual of Style, and we have yet to find the supposed rules requiring that the editor’s name appear on the cover, or anywhere else. Chicago is conveniently divided into numbered sections. So far, we haven't seen anyone cite the numbered section where these supposed rules and protocols appear. Having searched for it diligently and not found it, we tend to think it doesn't exist. Nor could we find any rules requiring that dates be mentioned (other, of course, than in the copyright notice). These “rules” simply aren’t there. Devotee critics invoking Chicago sometimes pull up quotes from chapter 14 about how to show the names of editors and translators. The critics, however, seem to miss what chapter 14 is about. The chapter gives standards not for covers and title pages but for footnotes, endnotes, and bibliographies. When you're citing an already published work, how do you document what work you're referring to? How, for example, should your notes list the names of authors, editors, and translators? Such are the topics of chapter 14. What should appear on the cover and the title page are an entirely different subject, which Chicago treats in chapter 1. And, as mentioned, the supposed rules the critics speak of simply aren't there. Meanwhile, to look further into these mysterious “standards,” someone from the BBT made a quick visit to the famed Strand Bookstore near Union Square in New York City and had a look at some of the second-edition books in their “Classics” section. And he found that what well-established publishers do varies considerably (and even for an individual publisher the treatment may differ from work to work). Some books, indeed, have the editor's name on the cover, others only on the full-title page, and still others only on the copyright page. Some publishers don't mention the editor's name at all. The books he looked at from The Heritage Club, a publisher of upscale editions sold by subscription, mention the editor's name only in the booklet they send with the book, but not in the book itself. It seems, therefore, that the BBT’s publishing standards lie well within the mainstream of accepted practice. And the BBT is entirely in compliance with whatever Chicago considers required. That aside, over the last few years the BBT has included in various books a brief note telling the book's editorial history and the names of the editors. Since 1983, the second edition of Bhagavad-gita As It Is has included a “Note About the Second Edition,” briefly recounting the book’s editorial history. For upcoming printings, that note will mention the names of the editors and the relevant dates as well. First edition published 1906. Sixteenth edition 2010. Though the Second Edition of Bhagavad-gita As It Is conveys this information through its copyright notice,there's no harm in making the history more explicit, and we will include such a line of "printing history" in future printings.